Off the grid or getting ready to return to work? When an employee has a drug or alcohol problem, the employer usually has an obligation to accommodate that problem by allowing the employee to go on leave to receive treatment. Once this treatment is completed, the expectation is the employee will return to work. 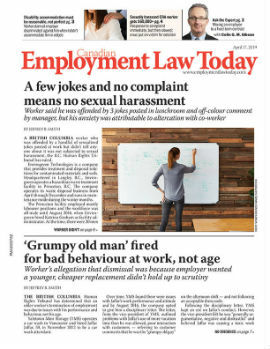 However, one employer in British Columbia faced a quandary when an employee disappeared for more than a week following his drug treatment program. Not knowing where the employee was and with no way to contact him, the employer assumed the employee had abandoned his job and his employment was terminated. As it turned out, however, that wasn’t the right approach to take.